Greek Prime Minister Alexis Tsipras and his counterpart from FYROM, Zoran Zaev have been officially nominated for the Nobel Peace Prize for 2019. The Nobel Peace Commission nominated the two politicians for their success in signing the Prespes Agreement on the name dispute. As the competent committee based in Norway announced, the nominations are over 300. In addition to Tsipras and Zaev, the UN refugee service is among the candidates. 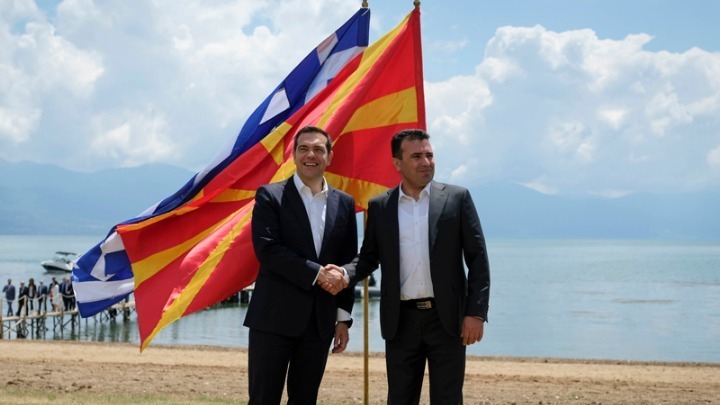 “Greek Prime Minister Alexis Tsipras and North Macedonia Prime Minister Zoran Zaev have been nominated by the European Parliament groups as they managed to end a long-standing dispute with the signing of the Prespes Agreement,” the statement said.